It's time for another fun edition of Wendy's Great Eight. 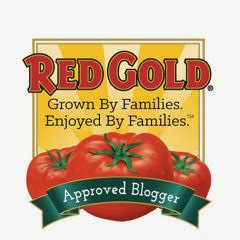 This month, I've got some really fabulous food and kitchen items to share with you! I'm featuring everything from cream cheese-filled bagel bites to a crispy protein bar...and classic Southern biscuits to crispy bite-size cookies. Let's get started! (1) Callie’s Charleston Biscuits. Callie’s Charleston Biscuits is based in North Carolina…and they produce a delicious line of frozen buttermilk biscuits that are so good my Southern grandma would give them her seal of approval. 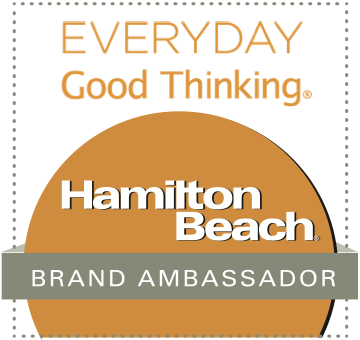 All the flavors I’ve tried so far have been fabulous – but I’m especially partial to their Sharp Cheddar Biscuits! These yummy two-bite buttermilk biscuits are studded with sharp cheddar before being baked – and cheese always makes food better! I simply heat these frozen biscuits in the oven -- then serve buttered with cheesy scrambled eggs and bacon for a perfect weekend brunch. The biscuits bake up golden on the outside and perfectly tender on the inside – like the perfect biscuit should. This weekend, I’ll be trying Callie’s new Iced Blueberry Biscuits…and I know I’ll flip for them too! 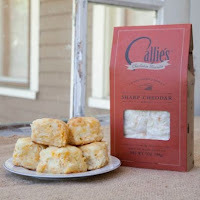 To order Callie's Charleston Biscuits, visit their convenient Goldbely online store. (2) Mrs. Thinster’s Cookie Thins. Do you prefer your cookies thin and crispy? Then you simply must give Mrs. Thinster's Cookie Thins a try! These crispy cookies come in a variety of flavors like Chocolate Chip, Brownie Batter, and Cake Batter. Perfect for Fall, they even have a yummy Pumpkin Spice cookie that pairs great with pumpkin spice latte! Mrs. Thinster's delicious Cookie Thins are made with no artificial colors, flavors, preservatives, or corn syrup – and they’re non-GMO. That means I don't have to feel nearly as guilty when I eat an entire bag in one sitting :lol:! 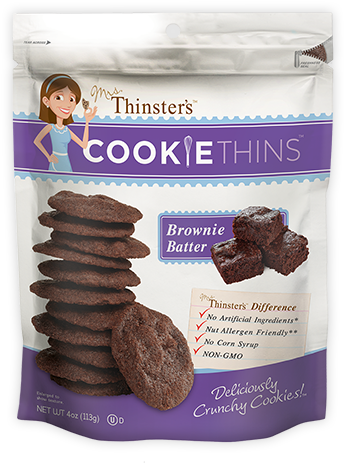 To me, Mrs. Thinster's Cookie Thins are the closest to homemade of any packaged cookies I’ve tried. They’re buttery and downright addictive! To find Cookie Thins at a store near you, be sure to check out their handy Store Locator. (3) Bagel Dots. Austin-based Bagel Dots offers a fun line of two-bite bagel rounds that are filled with cream cheese. They're perfect for a quick breakfast or an afternoon snack! Bagel Bites are available in the grocery store’s freezer case, and they come in four fun flavors: Plain Jane (plain bagel with plain cream cheese), Kitchen Sink (everything bagel with veggie cream cheese), Jalapeno Cheddar (cheddar-topped bagel with jalapeno cream cheese – reminiscent of a jalapeno popper), and Cinnamon Raisin (cinnamon raisin bagel with cinnamon cream cheese). 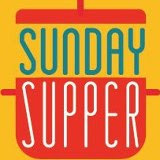 Every flavor is fantastic, but I’m especially partial to the Kitchen Sink -- the flavors and textures are really delicious! My Texas readers can find Bagel Dots at select grocers across the state. (4) Large Marge Churro Cake. With a fun name like Large Marge, I just knew this cinnamon-infused Churro Cake would be fabulous! Being a big fan of the movie Pee Wee’s Big Adventure, I immediately understood the reference. The owner of this Los Angeles-based company is originally from Texas, and her Churro Cake is a little slice of heaven! 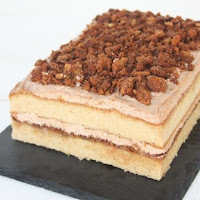 Each cake serves up to 10 people and is handmade with brown butter cinnamon cake layered with Mexican chocolate frosting, cinnamon-sugar churro snaps, Pralinella. Then, each cake is topped with churro snaps for a crispy, crunchy finish. After baking, each cake is packed perfectly and shipped direct to your door – simply sprinkle the cake with the pieces of chopped cinnamon-sugar churros and serve. If you love churros, you’ll go nuts for this creative cake flavor. To order, simply visit Large Marge's Goldbely shop. (5) Cheese Folios. 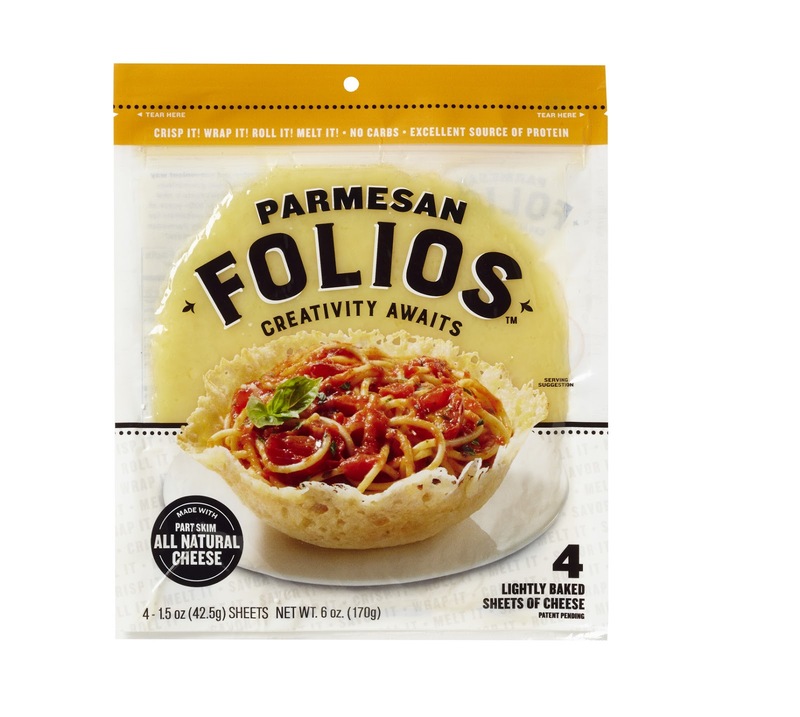 Lotito Food's new Cheese Folios are truly revolutionary: lightly baked, thin rounds of cheese made from parmesan, cheddar, or Jarlsberg® cheese. Cheese Folios provide 12 grams of protein per serving and are made from cows not treated with growth hormone rBST*. Versatile Cheese Folios can serve as a no-carb, gluten-free wrap for sandwiches – very unique. Filled with veggies and/or your favorite deli meat, this is the first 100% cheese wrap you literally take out of the package, fill, and eat! I enjoy draping Parmesan Cheese Folios over the bottom of small oven-safe bowls and baking until crisp – creating an edible bowl for Caesar salad. This is both eye-catching and tasty! 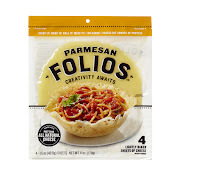 Cheese Folio's can be found at select U.S. retailers. My Texas readers can find Cheese Folios at H-E-B. (6) NestFresh Cage-Free Eggs. I recently tried a package of Colorado-based NestFresh Eggs – and I was really impressed with their flavor! All NestFresh Eggs are provided by chickens that are 100% cage free – which means you can be sure the hen that laid the eggs have plenty of room to roam around large barns instead of spending their time in a cramped cage. The chickens are also free to jump on perches, socialize with their chicken friends, and enjoy plenty of room to spread their wings. Happy hens produce fresher, better tasting eggs! I cooked my NestFresh eggs two ways: scrambled and boiled. The eggs featured dark-yellow yolks and a creamy flavor. I can’t recommend these eggs highly enough! NestFresh eggs are available at grocery stores nationwide -- including H-E-B, Brookshire Brothers, Randall’s, and Natural Grocers in Texas. (7) Negg Boiled Egg Peeler. I love eating hard boiled eggs for breakfast – but achieving "the perfect peel" sure can be elusive! The Negg helps take the mess and stress out of peeling hard-boiled eggs. Simply snap, shake, and serve perfect boiled eggs with the Negg – an ingeniously simple new tool that makes perfectly peeling hard-boiled eggs quick and simple. Add a little bit of water and a boiled egg inside the Negg, snap on the cap, shake it a few times, and the shell slips off easily. The Negg's patent pending design includes egg-shaped bumps on the inside to help facilitate easy removal of the shell. This handy device REALLY WORKS…it’s life changing!! 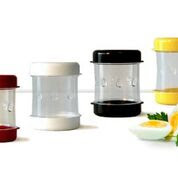 With the holidays coming, the BPA-free Negg is a great gift idea for cooks and gadget lovers on your list. Negg comes in a variety of colors and can be purchased at the Negg website for $17.99. (8) Ooh Snap! Crispy Protein Bars. I realize that eating plenty of protein is important to ensure good health, and that protein bars are a great way to achieve this goal. However, many protein bars simply don’t taste good to me. Enter Ooh Snap! 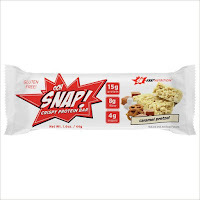 Crispy Protein Bars by Snap Nutrition™. 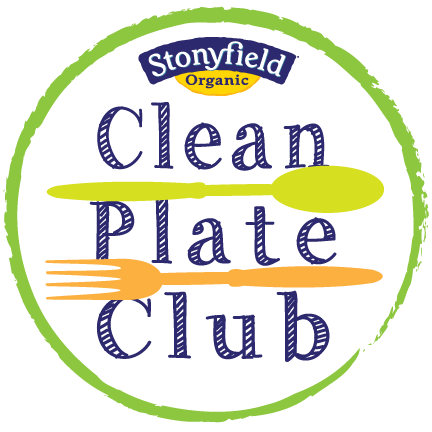 If you’re tired of the same old tasteless, chalky protein bars, Ooh Snap! Crispy Protein Bars provide a delicious coating with a tasty, crispy center. With three great flavors to choose from – including Vanilla Marshmallow, Chocolate Peanut, and Caramel Pretzel – there’s a flavor profile to appeal to everyone. All of the flavors are tasty, but my favorite is the Caramel Pretzel, which I enjoy as a work breakfast or quick afternoon snack. Each Ooh Snap! Crispy Protein Bar has 160 calories and provides 15 grams of protein, 8-10 grams of filling fiber, and just 3-4 grams of sugar. 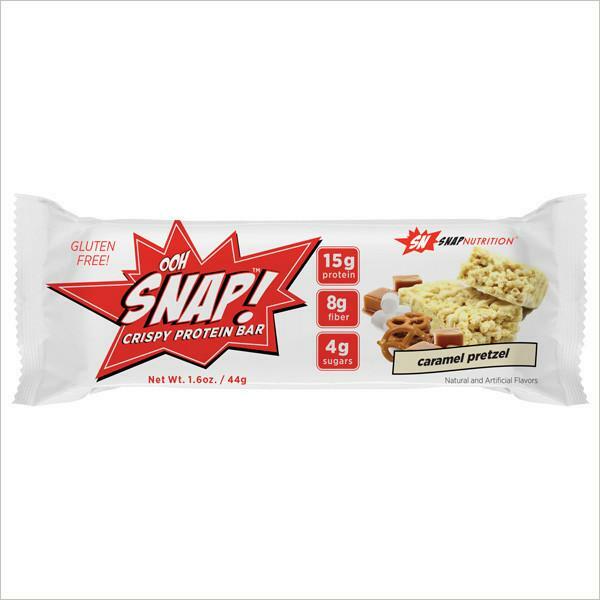 They can be purchased online direct from Ooh Snap!, and at select retailers in the U.S. and Canada. Disclosure: The companies featured in my monthly Great Eight column provided me with samples of their products. It is The Weekend Gourmet's policy to only share items in this column that I have personally tried and enjoy. All opinions expressed are solely my own.